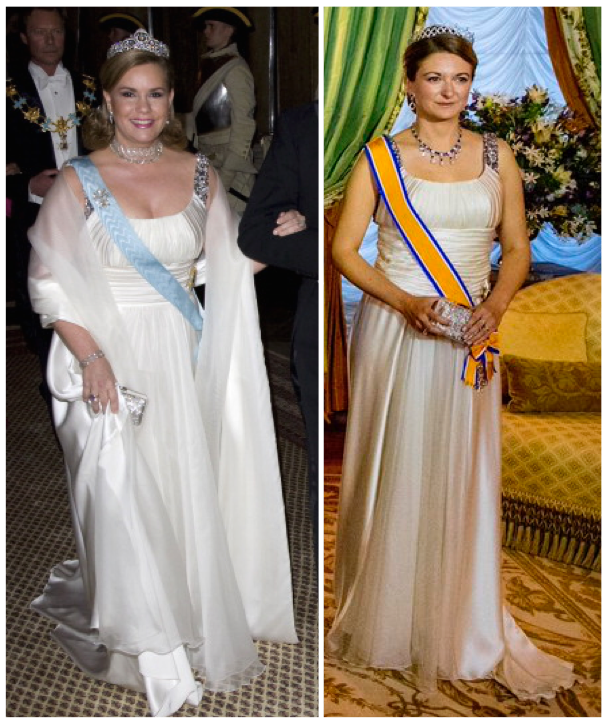 Firstly and frankly, I know it's a sign that I have been following the Grand Ducal Family for far too long and far too closely that my first thought when I saw Princess Astrid at last weekend's noble wedding in Germany was "I know that dress!" 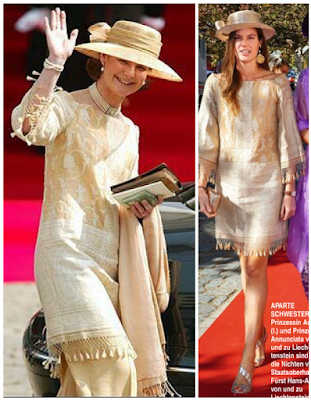 And sure enough, it's the same dress/tunic worn by Astrid's mother Princess Margaretha 15 years ago for the wedding of Prince Laurent and Princess Claire of Belgium. Her mother isn't the only family member Princess Astrid shares clothes with though. 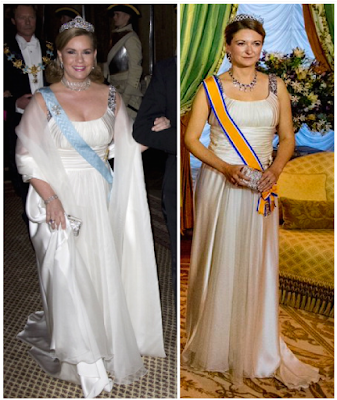 This Valentino gown has been worn publicly on more occasions than I can count on one hand and maybe a few fingers more by both Princess Astrid and older sister Princess Anunciata. And now from Liechtenstein onto Luxembourg: The return dinner of this year's Dutch state visit to Luxembourg saw Hereditary Grand Duchess Stéphanie giving one of her mother-in-law's old Elie Saab gowns another spin. I know opinions are divided but I preferred Stéphanie's take on it. You can't ever go wrong with a rivière of honking diamonds. 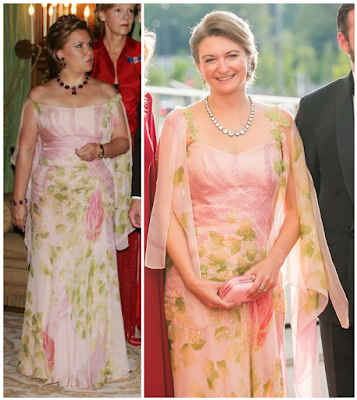 On the first day of the state visit we also saw another clothes sharing moment though with much less success with an awkward-looking alteration attempt in the midsection to make up for the height difference of the Grand Duchess and Hereditary Grand Duchess. 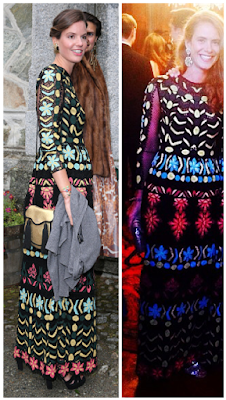 Usually I'm a fan of making use of expensive gowns by sharing the love but this attempt shall better not see a repeat.